Dave Grohl has revealed that recent arm surgery was the reason behind the Foo Fighters pulling out of a pair of planned performances scheduled for this week as part of the grand opening of the Fillmore New Orleans. According to Billboard, the rocker explained the situation during a conversation with Live Nation president and CEO Michael Rapino at the Pollstar Live conference in Los Angeles. "This is something I’ve had to deal with for a long time and it’s not the end of the world but I did have to have surgery on my arm because I need it to pay the rent," Grohl told the audience at the Beverly Hilton in California. "I knew I had to fix my arm at some point and I went ahead and did it. 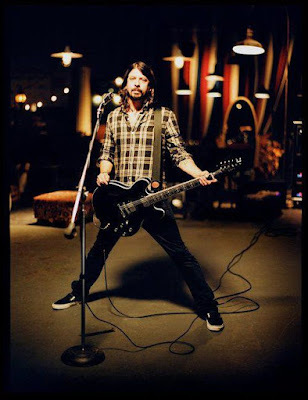 Grohl went on to say the surgery was necessary to keep his arm in good shape for many more years of touring and live performances. "It’s only work if you don’t want to do it," laughed Grohl. "I’ve never said ‘Ugh, I have to go on stage and drink whiskey and have 30,000 people sing my songs.’ It’s pretty cool." The Foos originally advised fans that “a band member injury” was responsible for the scheduling change, with the New Orleans shows rescheduled to May 15 and 16; all tickets for the original dates will be honored. The appearances mark part of the band’s final four US shows ahead of a summer run across Europe that will bring a close to the “Concrete And Gold” world tour.